…This is going to be a very long post, therefore be prepared. I am very well aware of the fact that there are plenty of Internet sites which can give any traveller plenty of advice. I had been doing a lot of research and planning before my trip to Japan, with the help of several selected websites, mostly this one. But there are still things which I found out later on when I was already in the country. This is not a complete guide what do to before you decide to go to Japan or while you are already there – it is just a list of various facts and advices, which may help someone who wants to undertake slightly longer journey in this beautiful country. This is, of course, really subjective. Most of the Internet sources and travel agencies will definitely advise you to go to Japan in one of two seasons (unless you really wish for something specific, like a New Year spent in Tokyo, etc.) – in the spring and in the autumn. The reasons are quite obvious. The spring: Japanese landscape is beautiful during the hanami season, many people want to see the sakura trees in bloom and they want to experience related festivals. Hanami usually starts at the end of March (mind you, this is a date for Tokyo, since Japan is a large country stretching from the north to the south, the dates for different destinations differ quite a lot, check them over here), so depending on the forecasts you can choose the proper date. The weather in March was rather warm in Tokyo, at least according to my personal measurements, although I live in much colder area – I remember visiting Odaiba in my shorts, but with my sports jacket. According to some sources, the average March temperature for Tokyo in March is around +9 degrees Celsius, but I remember it was mostly above 10. So if you have always dreamed about experiencing Japan in the time of sakura blooms, the spring visit is ideal for you. The autumn: Once again, this is closely related to the nature. Autumn colours are very attractive, just as the hanami season. Even in this case there is a website reporting the dates from all around the country, check it over here. The number of notable Japanese festivals in autumn is not as high as during the spring, but there is one – Jidai Matsuri in Kyoto, which can attract history lovers and those who want to experience a slight touch of local life. Autumn is not as cold as you may expect, the averages for Tokyo are +23 for September and +18 for October, which is rather fine. Most of the travellers tend to avoid the visits of Japan between late June and August, the rainy season starts in the second half of June and usually lasts until the first half of July, but August is very humid and very hot, with some of the temperatures reaching quite unbearable peaks. I experienced that in June, it was already too hot out there with high humidity making it even worse. Deodorants – I will once again mention the humid and hot weather and something that is closely related to it – body odor. Seriously. The unfortunate characteristics for people from Europe and other parts of the world except Eastern Asia is, that we have more apocrine sweat glands, which results in quite interesting fact – we sweat more than the people from Japan, Korea and China. This is something that we cannot fight and you need to take this into consideration. If you are planning longer stay in Japan, please be aware that it is almost impossible to buy a proper deodorant or deodorant sticks. The usual brands we know in Europe are not present, although I did manage to find one particular shower gel from European producer. There are quite a lot of forum threads about this in Internet, with some of the people saying you can just get the stuff shipped from your home country, but if you are staying in Japan for up to 3 months, that doesn’t really make any sense. Therefore be prepared for higher temperatures, higher humidity and no proper deodorants in shops (they have some, but they smelled rather daft, plus they were not really effective) – bring over some more. It really helps you to get rid of one worries – I found out about this already when I was running out of my deodorants, so I had to kill some time by finding them. Japan Rail Pass – I have mentioned this particular train ticket in one of my early posts on this blog, you can read more about it here. Even if you are staying for more than two weeks, this thing is just great. It was too late when I found out that I could actually purchase multiple Passes, which is even stated on the website I got my JR Pass from. It’s a shame I was not aware of this fact before, I could have travelled more, maybe with less stress, as the 21 days while I was using my Pass were really hectic. Bear in mind that you cannot buy the Pass when traveling to Japan for more than 3 months – you need to have a ‘Temporary Visitor’ stamp in your passport – without that the ticket office will not validate your Pass. One other thing about exchanging and activating the Pass itself – you have to do it in one of these JR offices. If you are traveling to Japan only for 2 weeks or so and your plans are already tight, you can activate it on the airport, where you cannot avoid the queues. But if you are not in a rush and you want to activate it later on after your arrival to Japan in Tokyo – try to avoid the busiest stations and exchange offices – Shibuya, Ueno, Shinjuku. I exchanged my pass in Shinagawa station and there were no people in the office except me. But when I visited Shibuya once, I remember very long queues of foreigners waiting for their pass to be exchanged. I know it really depends on where in Tokyo you reside, so check your options, sometimes taking the journey to less busy station can save you time. Japanese electrical sockets – Do not forget your power plug adapter. You can try your luck buying it directly on the Japanese airport after your arrival, but many flights from Europe arrive to Narita/Haneda airports late in the evening and if you want to catch the express to Tokyo and get yourself the IC card (I will come back to this later), you should try to avoid wasting time. Order one from the Internet at home and take it with you, it may be cheaper and it is handier. This one is a tough nut to crack. Everything depends on the length of your stay, on your travel plans, and on your budget. Since I stayed for 3 months, I had to prepare at least some kind of strategy, which would render my traveling not as a headache, but as something I could still enjoy. Yes, it can become annoying – if you want to do almost 13 000 kilometres on your trip, prepare for lengthy stays in various means of transport. You need to know that when you are tired after all this, you can still return somewhere where you can relax without worries. Therefore I divided my accommodation into two cities – Tokyo and Osaka. Why? The reason is quite simple – from Tokyo I could use my JR Pass to explore the northern part of the country and all the close surroundings, from Osaka the rest. You wouldn’t want to travel e.g. from Tokyo to Nagasaki on a train, even if it is a Shinkansen – it would last around 8-9 hours. From Osaka it’s 3 hours less. I know it may not be a big difference to someone, but in case of Osaka you can actually make it a round trip – leave at 5AM, be there at 10AM, do the sightseeing, jump on the return train at 7PM and be back in Osaka around midnight. 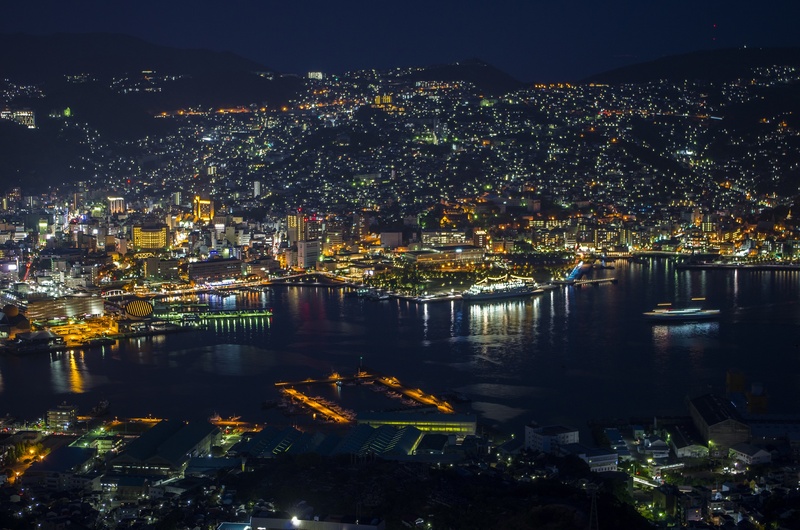 And you would still have 9 hours for the exploration of Nagasaki, without any additional cost for the accommodation and without losing one day from your JR Pass. I am aware that this may be a killer schedule for someone, but I went to Japan to travel and to explore, no to think about my comfort all the time. Airbnb – So I had an accommodation in Tokyo and in Osaka. When it comes to Tokyo, I used airbnb website. I will be honest – it wasn’t the cheapest option and it still isn’t the cheapest one around even today, but it gives you an option to live in traditional urban areas which are not full of tourists. You can experience the local life more directly, without any limitations. You can also get some long-term discounts when staying over via airbnb, which I didn’t know about (most of the people using this website don’t tend to stay on one place for more than a week anyway). If you do a proper search, you can even find apartments for £500 per month, which is a very good price for Tokyo. Hostels, Guesthouses – You can also stay in hostels, if you wish so. I always try to avoid this option, as I like to have a bit of personal space, so that was not my option. There is another one, though – guest houses. This is a special group, which often offers private rooms with little kitchens (or sometimes without them), but the toilets and bathrooms/showers are shared (I stayed in one of these in Osaka). They are quite cheap, cheaper than airbnb and sometimes even cheaper than the hostels, which usually attract short-term stay visitors. Do your search on Internet, there are plenty of options in Tokyo, it would take too long time to create any kind of a list. SUICA – There is one particular thing that I noticed in Japan. Since I lived in a house in which I met quite a few foreign tourists, I found out that they were not aware of the existence of IC cards. This is rather sad, as these little things make your life in Japan much easier. IC Card is a prepaid travel card, which can be used in most of the means of public transport not only in Tokyo, but all around Japan. They do not let you travel cheaper and you have no discounts, but you have your travel funds on them and when you use the electronic gates to enter and leave underground, or train area, the required travel amount will be deducted automatically and you don’t have to worry about studying the line plans and selecting the proper ticket. This may sound trivial, but it saves PLENTY of time. I have seen the tourists trying to figure out the prices for their tickets maybe hundreds of times, in some cases they bought the tickets which were too cheap and they had to adjust them and pay the remaining fee before their way out of paid zone. The others just purchased the ticket, which was too expensive for their route, so they got from the point A to their selected point B, but they paid more than they could have. In many cases without even knowing it. Narita Express / NEX – You can get SUICA card straight on the airport, in JR Ticket Offices. Or you can get one from the multipurpose ticket vending machines, like this one. If your arrival airport is Narita, you can get it when purchasing the Narita Express (NEX) ticket to your destination. NEX is an express train from the airport which heads directly to Tokyo. The one way direct ticket costs only 1500 yen, in case you are a foreign national. This is a very good price considering the original one (more than 3000 yen one way). You can find more information about NEX on this website. Unfortunately there is no such ticket available for foreigners on the way back to the airport, so you will either need to cash out 3000 yen, or search for alternative means of transport (I will get back to that later). SUICA is valid pretty much everywhere, but there are some exceptions. I was able to use it in Sapporo, in Osaka, in Kyoto, Nara, and so on, but it wasn’t accepted in Hiroshima on buses and trams (they have their own one-ride flat rate) and in Naha, Okinawa (monorail). I think that there are other places which do not accept SUICA, but I can’t remember that now; you can probably do your own research. Just for a note – there is also alternative IC card called PASMO, but it’s interchangeable with SUICA, so no matter which one you have, you are always covered. Well, this is quite varied. It really depends on your place of stay. I spent more than 50 days in Tokyo, as that place is massive and it offers plenty of stuff for every single tourist or visitor. There are museums, parks, attractions, building with nice panoramic views; there is sea, gardens, cultural events, and architectural places of interest – pretty much everything. You can also do hiking on the outskirts of Tokyo. For that you need public transport, which is very effective and very punctual, but at the same time confusing, especially for a tourist/foreigner. SIM Card – So one good piece of advice – if you are staying in Japan for even two weeks, go to one of the Yodobashi shops and buy yourself Japanese SIM card for your mobile phone. One of these, to be precise, depending on the capabilities of your handset. You need to have your phone unlocked and you may need someone to get it activated in store. One call from Japanese number is needed to activate the card, if you don’t know anyone, just ask the staff – there is always someone who can speak English and they can activate it for you for a certain fee, I think it was up to 5000 yen, but it’s still reasonable if you don’t want to waste your money on roaming – WiFi hotspots are very rare. With this SIM card you will have 1GB of data prepaid, you can top it up later on online, there are various guides on Internet. But even 1GB is pretty much enough for Google Maps and one other, very useful webpage. //UPDATE: There are many more visitor SIM cards available now, even on the airports. The other option is to use a rental WiFi router, which will be slightly more expensive, but you will probably find it more hustle-free. Various companies offer WiFi or phone rental, I personally used PuruPuru and I was very happy with their service and English-speaking customer service. The above mentioned SIM card is still in sale (b-mobile data SIM, which uses NTT Docomo’s network with a very reasonable coverage), but it now includes 5GB of data per month, so it is even better for roughly 3800 yen. Hyperdia – the webpage called Hyperdia. This is one of the BEST things the tourist in Japan can have. The reason is simple – it gives you all the transport options for your selected route, with transfer times and everything. And that is for the whole country, not only for Tokyo. I remember people asking for a thick travel plan books in the JR Offices, so they could find their trains for their journeys, Hyperdia is making everything totally simple. I know I sound like a salesperson who wants to sell you something and I make too much advertisement for it, but it’s just one of the most helpful things out there. You can enter your departure point, whether it’s the underground stop, or Shinkansen station, or city, village, whatever. And then enter your destination, the time you want to either leave or arrive to that destination, filter your selected means of transport (that means all the Nozomi trains for JR Pass holders, with Hayabusa being one single exception) and voila – you have your route. And since you can really rely on the punctuality of pretty much all the trains in Japan, this is the solution for many tourists’ problems. Even if I was sometimes afraid that the website didn’t count in enough of transfer time, I actually made it and I never missed my transport. Believe me, this will save you plenty of time and hassle, it did help me and I gave this advice to plenty of foreigners I met in Japan and they were very happy about it. That’s one of the reasons why you should get a SIM card, because when you are planning your trips, you will want to browse Internet and that will cost you a lot on roaming. Yamanote line – When you stay in Tokyo, this one is certainly the busiest train line out there. It’s a loop in the city centre, which is around 35km long and it stops in the busiest train stations in the world, check out the list over here. If you feel that this sounds like a warning, you’re right – try to avoid this line in the busiest hours of the working day, if you don’t want to get stuffed into the train. It’s really, really busy, if you don’t understand how busy it can be, watch this video. As you can see, the trains arrive one after another, but it still doesn’t help and it sometimes creates some delays. I don’t mean to say that there is a mess – everything is organized and the locals in Tokyo do that more or less every day, so they are patient, but if you don’t like spending 10, 20 or more minutes in overcrowded train, do avoid it and use alternative routes. Using your JR Pass – I have mentioned the advantages of this ticket earlier. When you have it activated, you can use it on all JR lines in Tokyo and all around Japan, you don’t use the usual entry, but you use your pass to the station attendant and you can get in. There is one important and maybe handy thing I found out about reserving the train tickets for Shinkansen. I was unlucky enough that my JR Pass was active during Golden Week. Now this is the time you should usually avoid, because everything gets pretty mental in Japan, but I had no choice. Most of the trains are full; there are no seats available to pretty much any destination, which obviously isn’t the best news for the JR Pass holder, who wants to fully enjoy his ticket. There are ways, however, to get around it, at least partially. One of them is, of course, booking your place well in advance. That’s pretty obvious. But what if you have no long-term plans just like me? You have no choice. I wanted to visit Nagasaki during Golden Week, but I was told that all the possible trains had been booked. Fortunately, the JR stuff in Shin-Osaka station was very helpful and they managed to get me a place. How? Well, usually when you inquire about available places, they just have a look into the system, they type in Osaka and Nagasaki and if it shows no tickets, you are done. But they had an idea – they checked if there is a way to divide my route into smaller sectors. To explain – there was no single place on trains from Osaka to Hakata (the station of Shinkansen where you need to transfer to Kamome express). But there was a place in one car for the route Osaka-Hiroshima and there was also another place available for the route Hiroshima-Hakata, in the same car, but different seat. So the only thing I had to do was to change my seats in Hiroshima while people were getting out of the train and the problem was solved. It was no trouble at all and it gave me the option to travel on Shinkansen even on one of the busiest days of the year. Therefore – if you are told on the station that there are no tickets available for your selected route, try to ask the staff that you don’t mind changing the seats while on the train and they may be able to figure something out. I found this option too late, but it was very useful indeed as I used it two more times later on and I always managed to get to my selected destination. 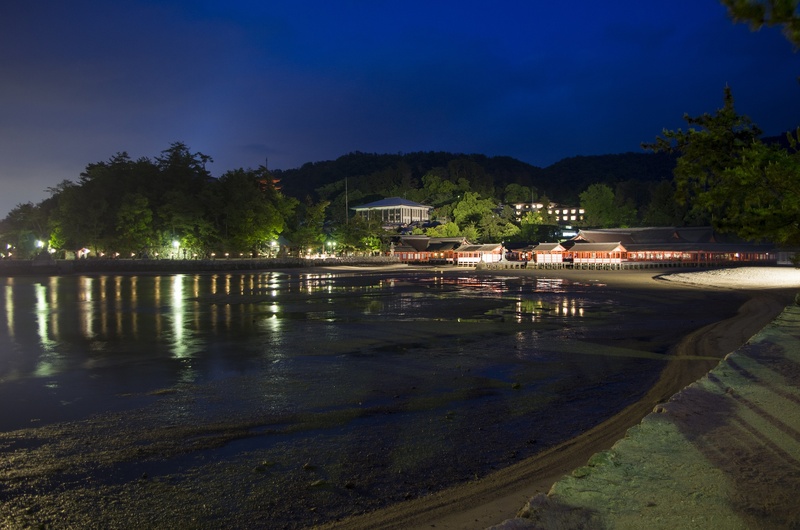 Warning – if you decide to travel to one of the Three views of Japan, Amanohashidate, please be aware that your JR Pass doesn’t cover the whole route. I travelled from Osaka, the staff on the station reserved all trains for me, but I didn’t notice my JR Pass wasn’t valid on the last route segment. When I arrived to the station, I had to pay additional 3000 yen for the return ticket from Amanohashidate to Fukuchiyama, where is the last stop covered by your pass. Be prepared for that as I was told on the station that this is a fact which causes quite a lot of confusion due to the language barrier between tourists and the station staff, which happened to me as well. Hotels and Ryokans – booking hotels and ryokans in Japan is simple, I had been using booking.com website for quite a while before my arrival to the country, so I was kind of used to it. There was one little thing, however, which I noticed. I was staying in several hotels, in two cases I got the room for smokers. When I went back down to the reception and asked why this happened, they told me that they give their guests smoking rooms by default. I am pretty sure I didn’t have any option to select the non-smoking room during the booking process, so it was a slight surprise. In both cases I asked for a non-smoking room and I was fortunate enough to get it. Food – this one is really specific. I have always known that Japan is famous for its seafood cuisine; unfortunately I am not a big fan of sea creatures like shrimps, prawns and so on. I have no problem with fish, but I tried to avoid most of the stuff mentioned above. I can’t say I did not try several specialities, but that was very rare. If you don’t have enough time for cooking or you don’t have a proper kitchen with all the ingredients (which are hard to buy if you can’t read Japanese), just try your local supermarket or convenience store. All of them are selling various kinds of ready-made food, including sushi, fried foods, tempura, salads, pastries and so on. You can also ask the staff to heat the meal up if you want to. Plus, if you have no problem with Japanese language, you can still try your local ramen or udon restaurant – there were quite a few of them close to the Musashi-Koyama station where I lived and the average price for a bowl of noodles was around 400 yen, which is not bad at all. Or you can still go to Chinese restaurant – there are quite a lot of them all around Japan, most notably in Yokohama’s Chinatown, which is full of them. If you do appreciate seafood, you have no problem at all. There are numerous French restaurants in Tokyo and I noticed them in Osaka and Hiroshima as well, so the choice is really wide. Tokyo has the highest number of Michelin starred restaurants from all the cities around the world, so if you are not afraid of higher prices, try one of them out. Must see attractions – I presume everyone knows their own sightseeing preferences when traveling. Japan is not a small country, its history is long and eventful, and therefore there are plenty of places for visiting as a tourist. If you prefer architecture, Tokyo is not the only place to see – there is Yokohama, Osaka, Hiroshima, Kobe, Nikko, Kamakura, temples in Shingu region, shrines and so on. Do you like nature? There are plenty of beautiful parks and gardens even in Tokyo, there are various national parks nearby, like Hakone or Fuji…Many places to see. Festivals, Sumo tournament, cultural events like Anime Japan, or Tokyo Motor Show, F1 race on famous Suzuka circuit (Mie prefecture in close vicinity to Nagoya), tennis tournaments – whatever you like. You can find plenty of pictures on my blog and select whatever places and events you prefer. Tokyo – no doubt the most fascinating experience, something you will not see anywhere else in the world. Itsukushima Shrine/Myiajima Island – very special and unique atmosphere, especially in the evening, no wonder it is a part of UNESCO world heritage. Cycling route close to Okayama – interesting experience, spending the whole day on the bike stopping wherever you want on the traditional Japanese countryside covered with temples and shrines. I think I will add some stuff over time, so bear with me, this is really long post and it took some time to write (and to remember).